The VDX-6328 utilizes an onboard Vortex86DX Fanless 800MHz processor built for Ultra Low Power Consumption. The processor is highly integrated thus reducing the price of the board. The VDX-6328 comes with a PC/104 bus connector and a PCI-104 bus connector which allows it to utilize higher end PCI bus based modules. The VDX-6328 has a fully static 32-bit 486 class X86 processor and is PC compatible allowing it to run most popular 32-bit Operating Systems such as DOS, Windows and Linux. 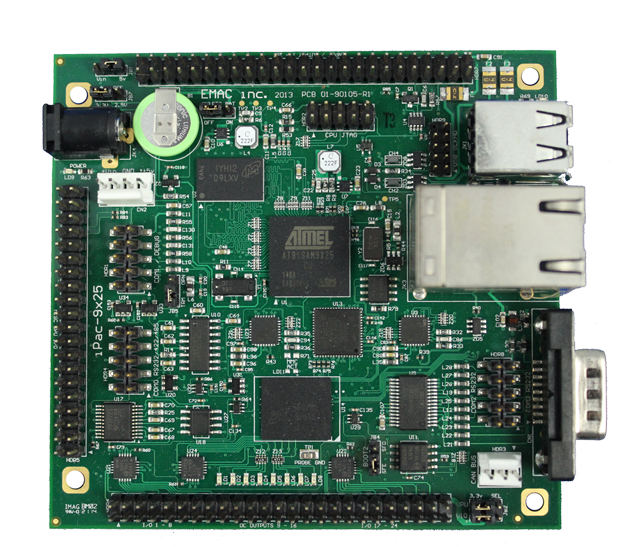 The Video Chip (Volari Z9s) features 32 MB onboard video memory supporting Analog VGA monitors and TFT/LVDS Flat panel interfaces and has a resolution of up to 1280x1024 @ 16M colors. In addition to video, three USB 2.0 ports are available as well as one Parallel port (SPP/EPP/ECP modes), an UltraDMA – 100/66/3 EIDE port (which supports up to 2 IDE devices), five RS-232 and one RS-232/422/485 serial ports. The VDX-6328 can run at temperatures of -20 º C (-4º F) to 70º C (158º F). The numerous features provide an ideal price/performance solution for commercial and industrial applications where stability and reliability (no moving parts) are essential.